Ecostrad VeeSmarts offer a designer heating solution for a range of interior spaces. Finished in slate black, these stunning radiators provide a versatile, smart heating system with undeniable style. Few electric heating solutions offer the prestige of the Ecostrad VeeSmart, with its high-quality steel body, sophisticated design and precision control. These designer radiators fulfil two room requirements in one: providing comfortable and efficient heat, as well as an elegant accent to any interior design scheme. This version of the VeeSmart has a horizontal body finished with a slate black powder coating to create a pleasing contrast against your décor. The Ecostrad VeeSmart is similar to a central heating radiator in that it uses liquid within the housing to spread heat across the surface of the appliance – however, instead of using hot water, this radiator comes pre-filled with a thermal oil. 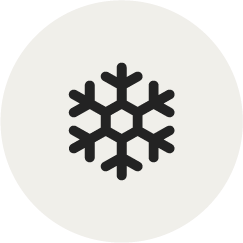 The VeeSmart is a self-contained unit that doesn’t rely on being part of a larger system and instead uses electricity to generate heat. 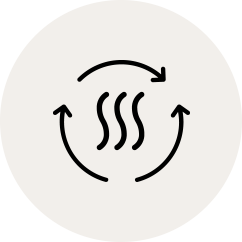 Each VeeSmart uses an electric thermal element installed at the base of the heater to warm the surrounding oil. Using the thermostat attached to the element, you can adjust the heat output of the VeeSmart to bring your rooms up to the correct temperature. As the surface of the radiator warms up, your room with be heated with a comfortable and efficient mix of convection and radiation. The Ecostrad VeeSmart is fully programmable via the Bluetooth functionality provided by its Terma KTX 4 Blue heating element. 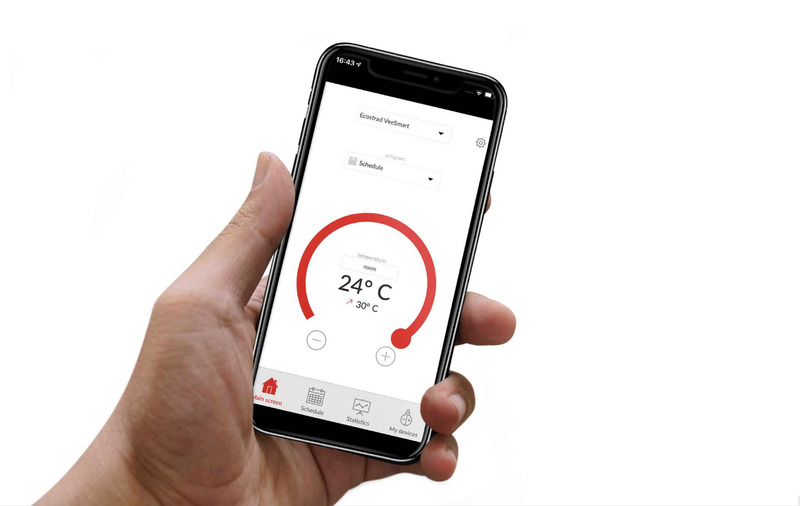 Using a compatible mobile device, you can use the BlueLine heating app to pair up any number of VeeSmart radiators to your smartphone or tablet. The app allows you to create numerous 24/7 heating schedules for every individual radiator in your system, thereby greatly reducing energy usage within your home and ensuring your rooms are always at a comfortable temperature whenever you come to use them. Rather than trying to heat your entire home to the same temperature as per a traditional central heating system, the VeeSmart allows you to create individual programmes for each room in your home. This allows you to tailor your home heating with greater precision and respond dynamically to any changes in your household. The BlueLine heating app is free to download and will work with Android 4.4 and iOS 6 devices. Older software versions may not be compatible. While the VeeSmart can be controlled via your smartphone or tablet, the heating app does not use a Wi-Fi signal in order to communicate with your heaters – this means they cannot be controlled via the internet. 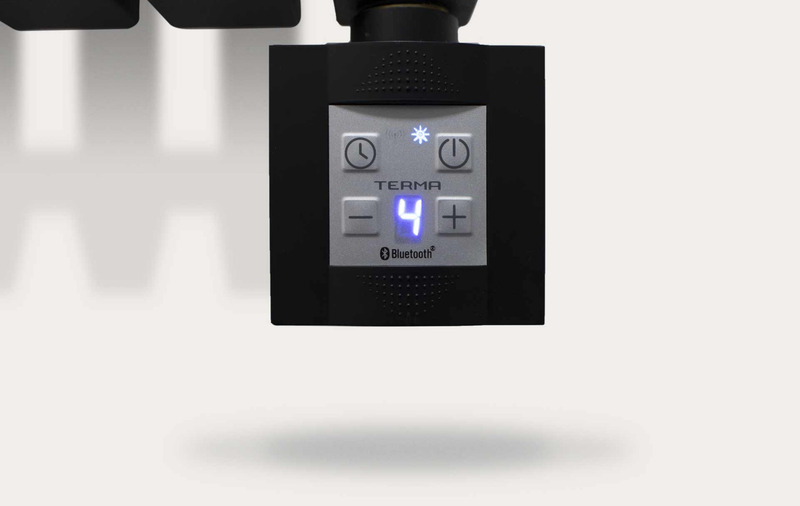 The Terma KTX 4 Blue heating element uses Bluetooth and will need to be paired with your mobile device in order to be controlled. 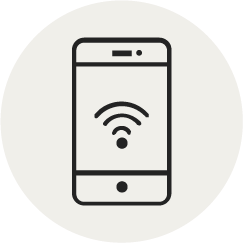 As Bluetooth signals are short-range, you will need to ensure that your phone or tablet is within relatively close proximity in order for any programming information to be effectively communicated between the two devices. 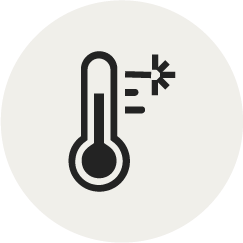 Your heating programme can still be amended while you’re away from home, however, the changes will only take effect once your device is back within range of the heater’s Bluetooth signal. In all instances, the VeeSmart will need to be hard-wired to the mains by a professional electrician. This is not a suitable task to undertake DIY and the VeeSmart is not supplied with a plug for this very reason. The KTX 4 heating element will arrive in the same box as the VeeSmart radiator but will need to be attached by your installer. 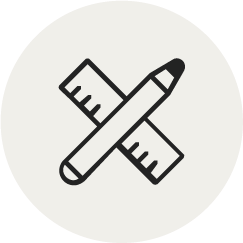 Though the services of a contractor will be required, installation is a straightforward process for a qualified professional and will cost significantly less in terms of time and money compared to extending a central heating system’s pipework. 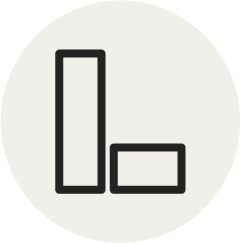 Take note of the weight of your chosen VeeSmart radiator - many are quite heavy and will likely require two people on hand in order to lift and secure the heater safely. In many instances, this will be a difficult task for just one person. VeeSmart radiators can be installed in bathrooms but must be fitted in a location at least 1m away from any sources of water. This is to prevent the surface of the heater from corrosion. It is possible to dry clothes and towels on the Ecostrad VeeSmart but, as with any home heating system, it’s important to exercise a little common sense. Some fabrics cannot withstand higher temperatures, so always be sure that the clothes you place on the radiator are suitable for this type of drying. Failure to do so can damage the finish of the radiator as well as the clothes themselves. Fabrics with bleeding dyes (e.g. new towels) and fabrics soaked in chemicals (e.g. cleaning cloths) can cause permanent discolouration or damage to the finish of the radiator. The warranty for the Ecostrad VeeSmart does not cover this type of damage, so please ensure that you take note of the above information. Also, be careful when removing any clothes from the radiator – the surface may still be hot! Being able to dry clothes on the VeeSmart is part of what makes it so convenient to use. The vast majority of electric radiators are not suitable for clothes drying and using them in this manner can potentially cause a hazard. The VeeSmart has a fully enclosed housing and a thermostat that is unlikely to be obstructed, but this is not the case for many electric heating solutions. Always check with the manufacturer before drying clothes on an electric radiator to avoid injury or damage to your heater. Are black radiators more efficient than white radiators? The difference in efficiency between black and white radiators is so imperceptibly small that it should never be considered in your decision-making process, much less become a deal breaking factor. There’s no earth-shattering savings to be had by outfitting your home solely with black radiators – the only reason you should choose one over the other is purely for aesthetic purposes. When a surface absorbs the energy from visible light, this energy is converted into heat and re-emitted. We are taught at school that black surfaces are best at absorbing and emitting radiation, whereas white surfaces absorb the least and reflect more away. This is why we wear white t-shirts in summer, as white fabric reflects away more of the sun’s radiation, helping us to keep cool. If black is better at emitting heat, why aren’t all radiators painted black as a general rule? The answer to this comes down to two major points: how radiators create heat and how infrared radiation works. Radiators heat via a mixture of convection and radiation, but what you may not know is that the majority of their heat is delivered through the former process rather than the latter. As they mainly use convection, which relies on heating the surrounding air, the amount of radiation emitted by a black or white finish will only make a tiny difference to the overall heat output of the radiator. Though black is best for the absorption and emission of radiation in the visible spectrum, this is not necessarily the case for all types of radiation. The heat we feel emitted from radiators is infrared, which has a different wavelength to visible light on the electromagnetic spectrum. When it comes to infrared, all colours by and large emit radiation as well as each other, with only incredibly small variations between each kind. So, there’s nothing stopping you from having a black radiator, a white radiator or any colour in-between! It’s the type of material used rather than the colour that has the greatest effect on infrared emission, so a radiator’s colour powder-coated finish will always perform better than a more insulating finish, such as chrome plate. Ecostrad is a brand synonymous with style, quality and affordability. As a company with a wealth of experience within the industry, Ecostrad understands the importance of providing efficient heating systems for home and business, which is why their products are created with the end user in mind. All of their outstanding heaters incorporate advanced controls and precision thermostats for improved heat management, and are manufactured to the highest standard.